For the final day of Cooking with Chickpea, I decided to make this healthy makeover of deep fried Katoris with baked version of the savory tarts. 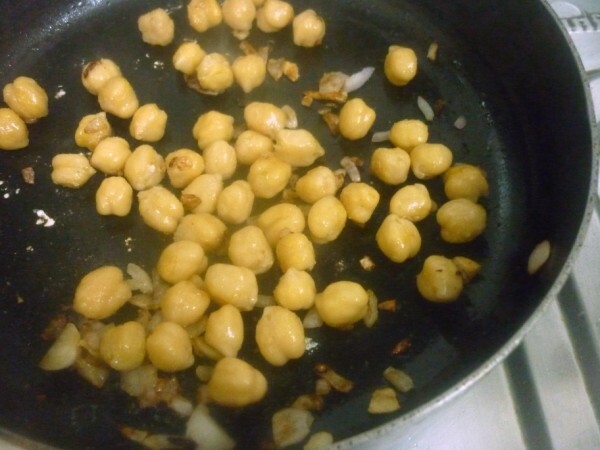 I had imagined a spicy chana filling topped with sev. Imagine the trill the kids had seeing these so decked up cutely. They could hardly restrain themselves and I had to seriously threatened them with some treats if they let me click some decent pictures. I had made these baked katoris and then made the stuffing later in the evening. 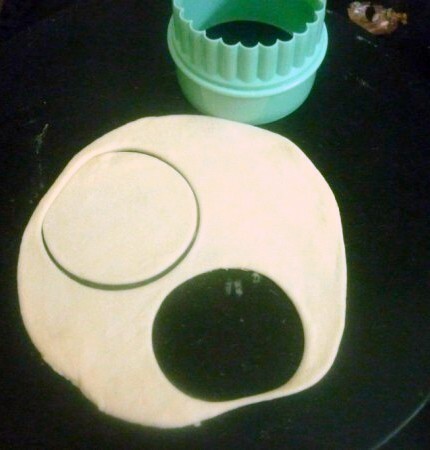 The baked ones were crispy however after some hours, it became a bit hard to chew. This recipe actually calls for the katoris to be deep fried. I decided to bake them to get a healthy madeover dish. This is off to Healthy Makeover Recipes for Kids, this edition hosted by Rasya. 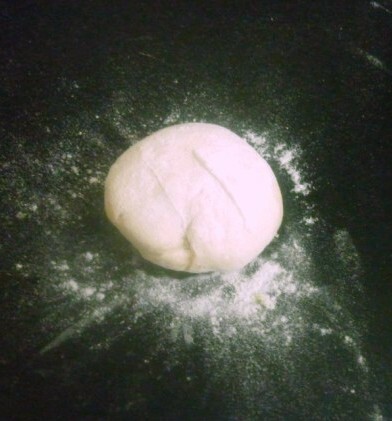 Combine the flour with butter and knead to a soft dough, let it rest for 20 mins. 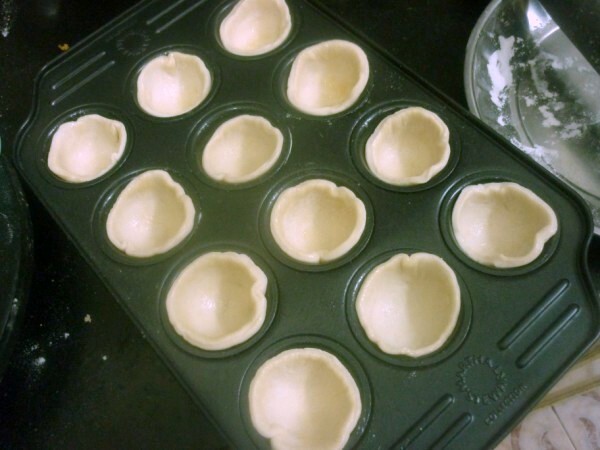 Then bake the katoris for 185 Deg C for 30 mins. Wash and soak chana overnight. Then pressure cook till tender. 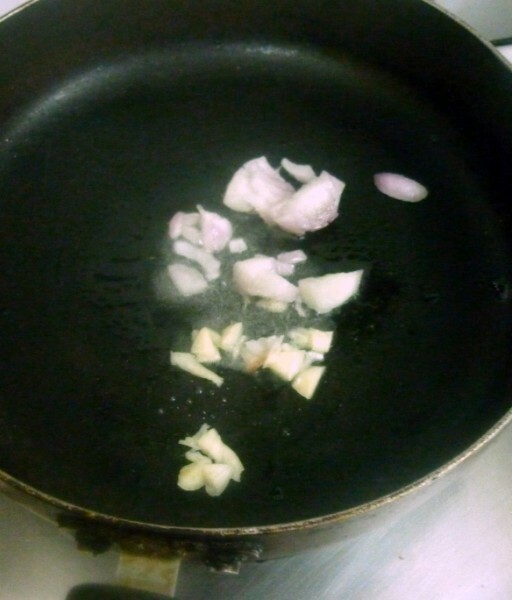 Heat the oil in a non stick pan, saute onions. 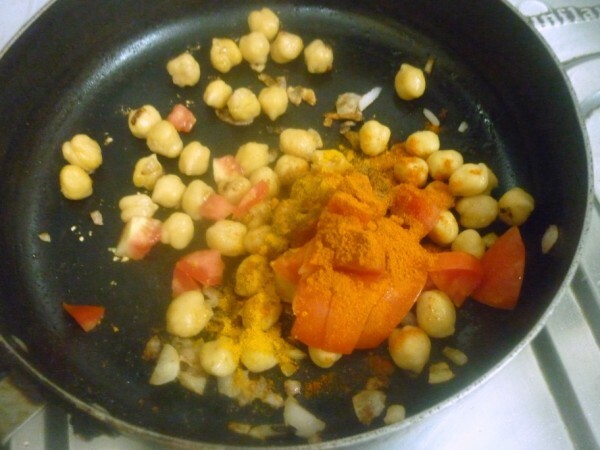 Once they turn colour, add the cooked chana. Then add tomatoes and all the spices. Simmer and cook till done. 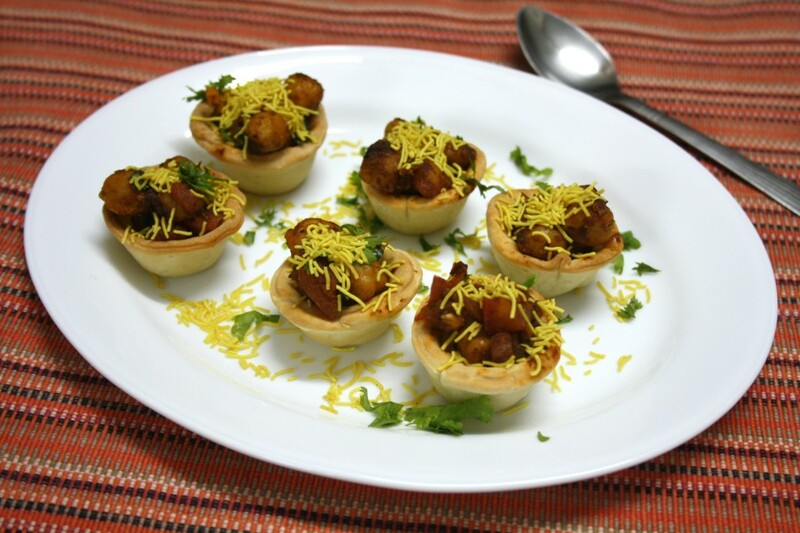 In the baked katoris, fill up with channa, top with curds, khajur imli ki chutney, green chutney, sev and chaat masala. 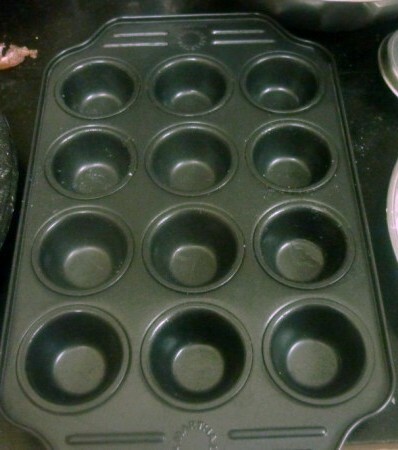 The katoris look so tempting..nice idea of using the muffin pan to bake them. Luv the idea of a cup dear. I will try for sure. Hi Srivalli, Happy Diwali to you and family, Hope you have a great time. 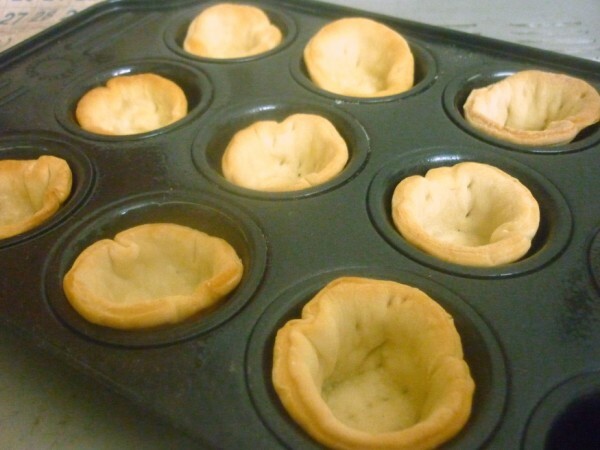 Your tarts look delicious and healthy version. Love the chick pea filling, yum yum. Happy diwali to you and family Srivalli, the cups look so tempting. 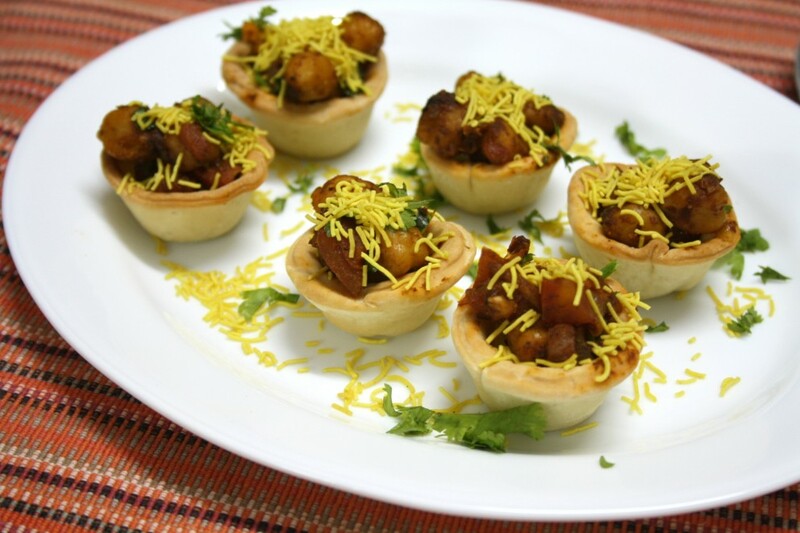 These are definitely wonderful appetizers, they turn out well with the readymade puff pastry sheets too. Amazing chaat, will definitely satisfy my tastebuds, loving those cups,so cute and guilt free. A very healthy and delicious chat!! Happy Diwalit to you all!! Wow.. those katoris do look super cute. They are perfect as appetizers.. LOVE the filling. 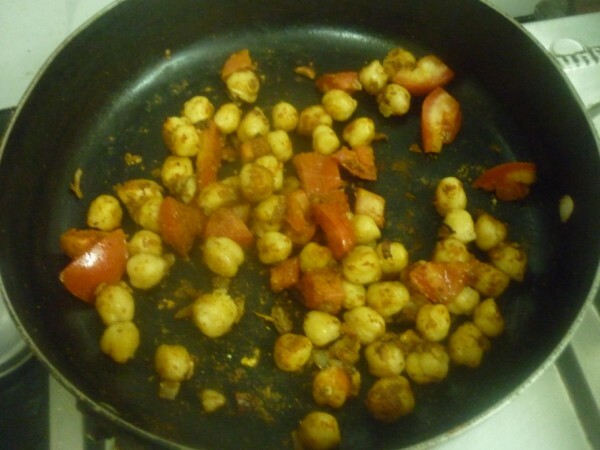 Chana chat in baked katoris…look real cute. I once made Cheryl Puerto and served out in baked katoeis. these single serves are real fun, right? Love this idea Srivalli. Great for kiddy party!